The one true Razorback . . . and Mt Feathertop, Victoria's second-highest peak. The fourth of our top ten Australian day walks, Razorback Ridge is the highlight of Victoria on two feet and a heart beat. 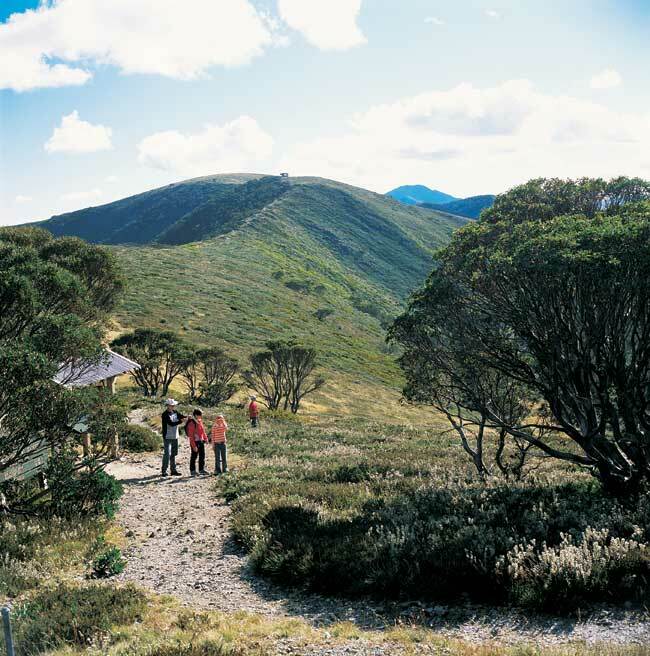 The Australian landscape is filled with Razorback Ridges but ask any bushwalker and there’s only one true Razorback.Strung between Mt Feathertop and Mt Hotham like a length of string, Razorback Ridge offers exhilarating alpine walking and some of the finest views in the Victorian High Country. Entirely above the tree line, there’s a big-name neighbour wherever you look: Mt Bogong, Buffalo, Hotham and, directly ahead, Feathertop, the most impressive of all Victoria’s peaks, standing isolated from the waves of mountains around it. Walkers who fancy a shorter day can turn back at a saddle above Federation Hut, retracing their steps along Razorback Ridge, while those with peak-bagging spirit can continue on to the summit of Feathertop before returning across the ridge to Hotham. Begins at Mt Hotham on the Great Alpine Road 340km from Melbourne. It’s one of Australia’s airiest mountain experiences, threading the narrow Razorback Ridge towards Mt Feathertop, the so-called “Queen of the Alps”. Views galore. The ascent of Feathertop, Victoria’s second-highest peak. False summits will tease you all the way but it’s worth it for the wraparound views. A long and exposed day out requiring a good level of fitness, though the only genuine climb is the Feathertop ascent. Weather conditions can be treacherous, so come prepared.